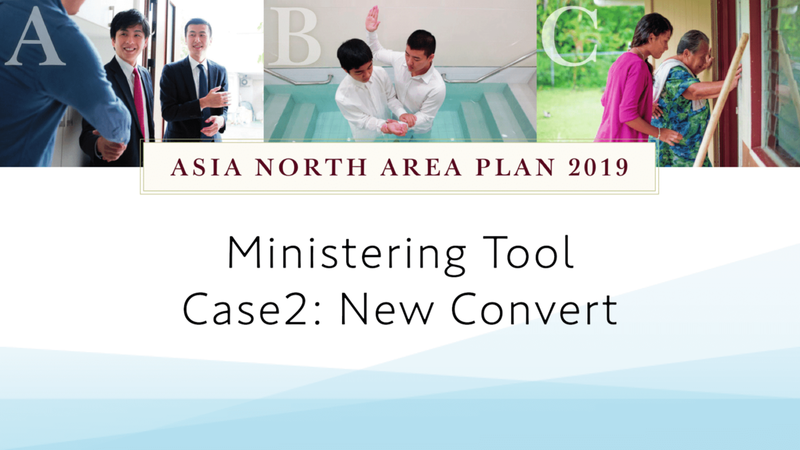 Here you can learn about the purpose of the Ministering Tool and how to use it. We invite you to watch it not only on your own, but also together as a ward or branch council. First, please refer to the training video below by the Area Presidency. 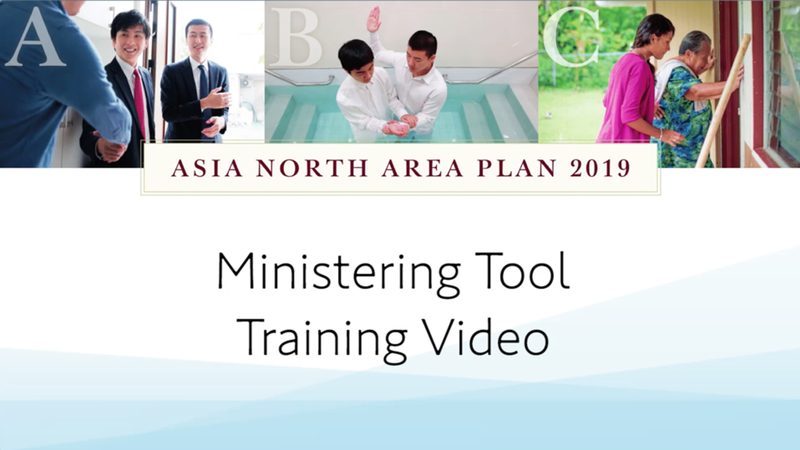 Training Video The purpose of the Ministering Tool and an example of how it can be used. Please use the following four videos as a reference for you to help keep your ward council discussions focused on ministering to others by utilizing the Ministering Tool. Case 1 : Part Member Sister Kim is an active member of the Church, but her husband, David, is not. They have two primary aged children. The ward council will discuss about how they can minister to David. Case 2 : New Convert Sister Suzuki is a new convert to the Church and her next step on the covenant path is 'Temple Ordinances'. The ward council will discuss how they can minister to her. Case 3 : Less-active Michael is a young man. He hasn't been coming to church recently and seems to need support. The ward council will discuss about how to minister to Michael. Case 4 : Person Schedule for Baptism Jonathan is meeting with the missionaries and has a baptismal date set. This is an example of how the ward council prepares to start ministering to Jonathan even before he gets baptized. Please be sensitive to the nature of the personal information that is shared during the council meeting. Please make sure that all information that is shared during the ward council is kept confidential. Be careful not to leave any printed copies of the ministering sheet or any written notes taken during the meeting where others may see them. The video depicts the use of a projector to display the ministering tool, but a projector is not necessarily required. Filling out the sheet before the meeting begins can help to greatly guide the discussion that needs to take place. When should the Ministering Tool be used? It's mainly designed to be used during ward or branch councils, but you can also utilize it in bishopric or presidency meetings. We recommend that you use the tool consistently for every council meeting. Do we need to submit or report this form? No. This form is not for reporting purposes. Rather, it is designed to help ward council members focus on individuals in their council meetings. Ward council members. In most cases, this form should not be accessed by other members due to the sensitive nature of information included on the form. What is the definition of “reactivation” and becoming “less-active”? There is no clear definition of what qualifies as a member becoming “reactivated” or “less-active”. Please use your own best judgment as you consider names to list in those sections. What is the expected timeframe to use when adding names to the [1. Increase] and [3. Decrease] sections? The size of the unit, frequency of the usage of the tool and other circumstances often vary from unit to unit. The bishop is free to decide on how far back to look when completing these sections in order to best meet the unit's needs.